Phosphorus is the secondary acidic component of the PRAL calculation for pH Balance. We need phosphorus mainly for strong teeth and bones. However, it is also essential for many other body functions. Fortunately, phosphorus is available from most foods, and there is never usually a shortage in a typical balanced diet. Our kidney’s readily dispose of excess, which leads to one important aspect of phosphorus in nutrition. Most people never need worry about it, but sufferers from kidney disease are often advised to reduce phosphorus intake. Controlling intake is difficult. This is because the phosphorus in many foods is not absorbed during digestion. Though high phosphorus food should be avoided by kidney patients, it is too simplistic to judge food by total content. 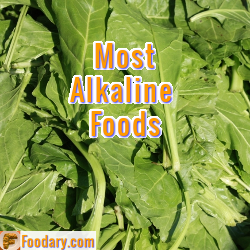 It is unfortunate that lists of high phosphorus foods exist, as they do not adequately serve the needs of the only people who could get value from them – kidney disease sufferers. Therefore, I am not going to produce such a list, but when I introduce disease-based nutrition data, I will focus more clearly on the phosphorus needs of kidney disease sufferers. At this stage, we are more concerned with pH balance. You do not need to worry about the effects on alkaline diets, as I have presented PRAL food tables that are perfectly adequate. You can see the other nutrients that are used for this calculation in the PRAL Nutrients explanation. In a nutshell, unless you have kidney disease, there is no need to worry about phosphorus in your pH balance diet. If you know of any other disease that requires you to consider phosphorus control, please let me know. Similarly, if you want me to prioritize my review of dietary needs for kidney patients, please join the Phosphorous for pH balance discussion.